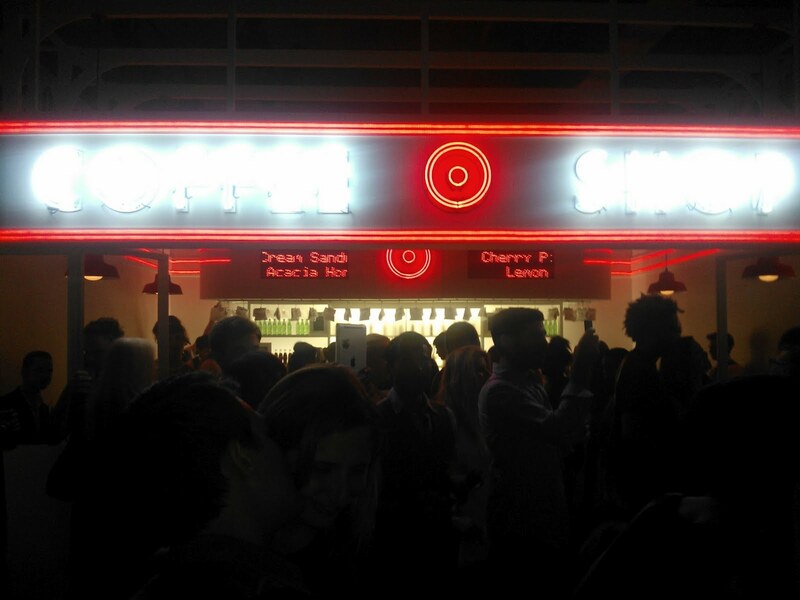 A coffee shop in name only at The Shops at Target pop-up space. Photos by Yours Truly. 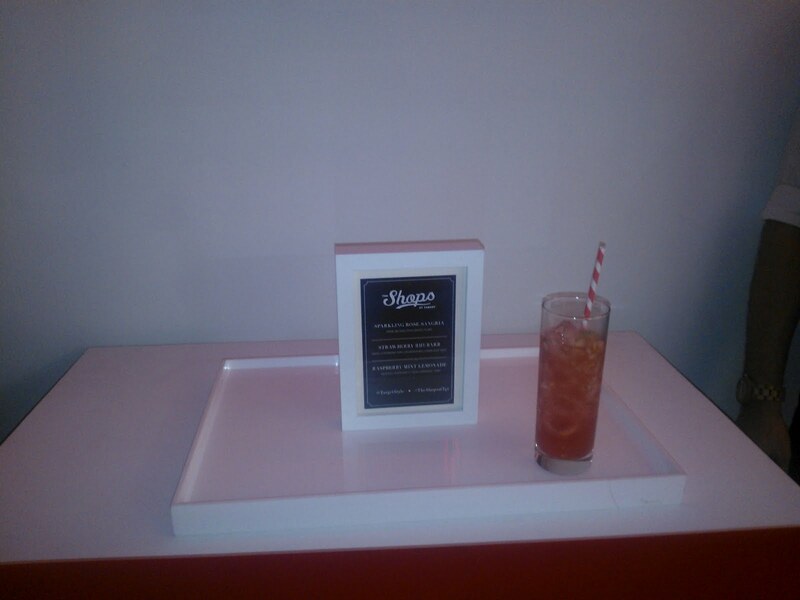 ONE can’t exactly have a launch, premiere or debut without food and drink. No doubt, Target knows what time it is and the time is the Coffee Shop. It was the place a couple of hours or so ago for celebrities, industry VIPs, friends and sundry others to whet their privileged whistles at the fall rendition of the retailer's The Shops at Target. Jessica Chastain (“The Help”) and Hailee Steinfeld (“True Grit”) were among those who had an opportunity to shop ahead of the hoi polloi. The latter will be given the shoppertunity online and in-store from 9 Sept. onward. (A bit more on that tomorrow). The Sparkling Rose Sangria is an interesting hybrid. The Coffee Shop was doing the briskest bidness of all of the pop-up shops holding it down at Highline Stages. Incidentally, Coffee Shop is a misnomer. There was nary coffee cup or scent of Kenyan organic in the air. There were cocktails, though. One most intriguing was the Sparkling Rose Sangria. Its vitals: rose sparkling wine, white sangria, blackberries, oranges. It is absotively delicious and accessibly complex. Sparkling wine and sangria lovers have gotta get a load (or sip) of this. Here is an instance where you should try this at home. Of course, lovers will drink/sip in moderation.